I’ve had my trusty ghds for around 6 years now and they’ve lasted so well but are getting towards the end of their life. 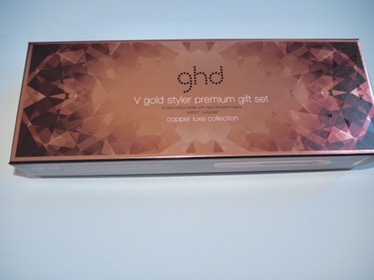 When I saw the gorgeous new copper luxe design set I knew I had to have them and I was lucky enough to get enough Christmas money to afford to treat myself to the gift set which includes a heat resistant bag and a metallic nails inc. nail varnish as well as the beautiful hair straighteners. I absolutely love the bag and would have got that on its own had my straighteners not been in need of replacing. 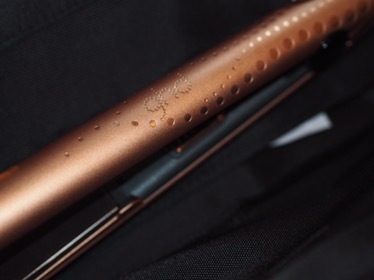 It’s gorgeous and so useful if like me you tend to straighten your hair and then want to transport them whilst still cooling down. The thing I like most about ghds is how long they last, but it does mean that I’ve had a plain black pair for nearly a decade, so it’s so nice to have a brand new stylish version of an old favourite to style my hair with. 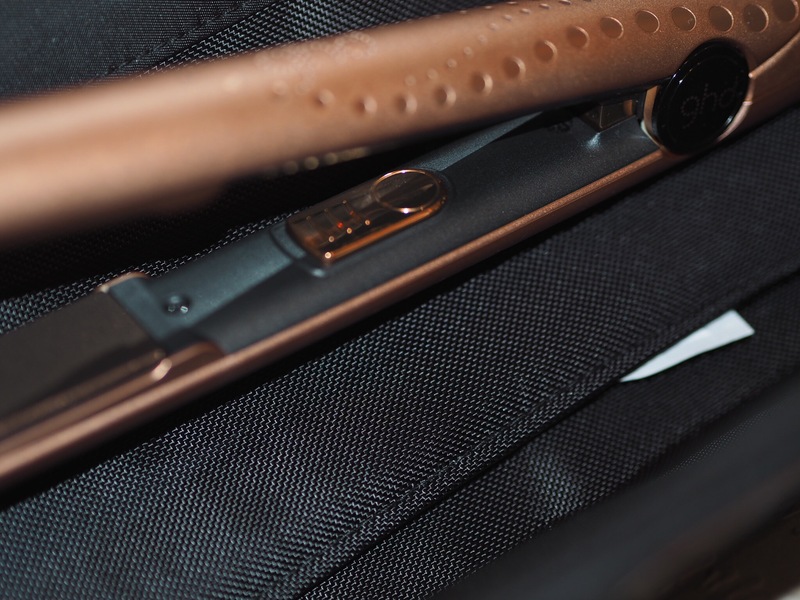 I know not everyone would agree, but I’ve yet to find another brand to rival ghd with hair straighteners, and these weren’t a disappointment. 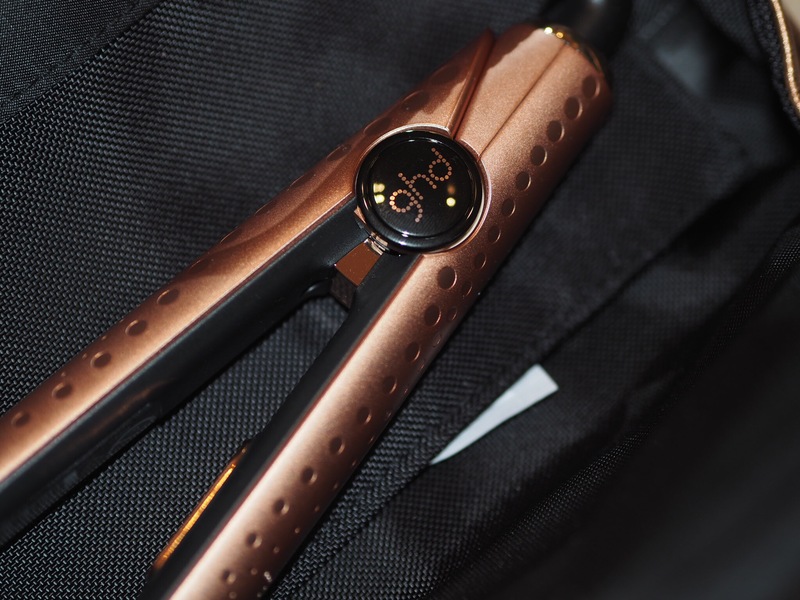 They look amazing, come with plate protectors as well as the heat resistant bag, they have a switch to turn the straighteners on and off, and heat up super fast with the classic beep to let you know they are ready to use. I found with my last pair that it took a few uses for the straighteners to really come into their own and I’ve noticed it again with this pair, it’s almost as if they are better with a little age to them (much like me, haha). Despite this, the finish is brilliant and it didn’t take long to have my thick hair straight and glossy and ready to take on the world. 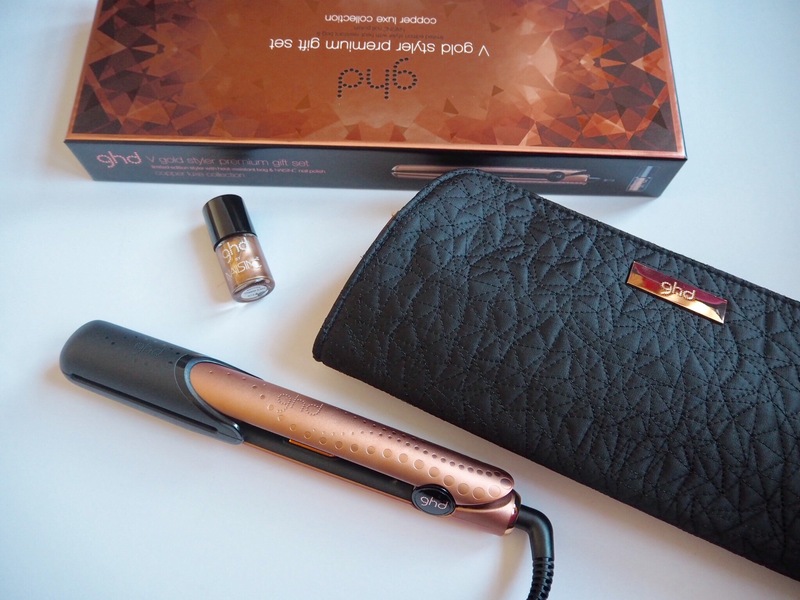 I use my straighteners every couple of days after washing and drying my hair and also for curling my hair for social occasions – I’ve never used curling irons as I find ghds work just as well and I find them less fiddly. 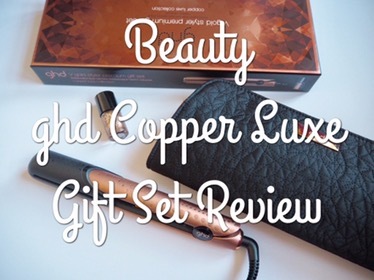 I’m really pleased with the copper ghds and would definitely recommend a purchase if you’re on the fence or if you just fancy treating yourself to something pretty! I trust the brand and am looking forward to many years ahead with my new ghds. Do you have a pair of ghds? How long have you had yours?